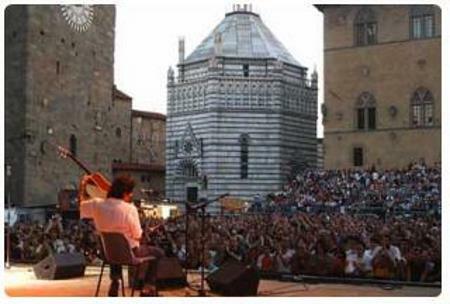 I'm walking in Pistoia's Piazza del Duomo (dome square), or "piazza grande", with the music of Van Morrison in my earphones, thinking that "the great Van" sang a few times in this square for the Blues Festival that is held here every July. You wouldn't expect such beauty from Pistoia, medieval town, former roman municipality, quite outside of the mass tourism circuit, unfairly underestimated. Also called "the silent", it's a city of valuable craftsmen, nurserymen, train constructors and artists, with a small Palio di Siena, called Giostra dell'Orso (Joust of the bear), an animal which also appears in the arms of the city. The roman Pistoia ended after the destruction of the city by a horde of Germanic peoples led by the goth Radagaiso, whose fabulous treasure around Fiesole, where he was defeated and killed, has never been found. 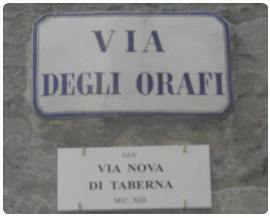 The roman street via Cassia used to cross the city where today you find the street called via degli orafi, which is one of the roads leading to Piazza del Duomo and which used to be called via taberna, because of the many taverns in the area. You can hardly imagine how it was. The Giostra dell'Orso, also entitles to San Jacopo, the city's patron saint, was created in the 13tg century, and Boccaccio wrote about the edition of 1348, the year of the pest. Maybe the right music in this historical context should be another one, but I don't care and I keep Van Morrison. I imagine the ghost of Fernando Melani walking on these stone slabs, always dressed with blue overalls for workers, yellow scarf and a basque, and also the horses of Marino Marini, sculptor from Pistoia and friend of Picasso, De Chirico e Kandinskij, seem to cross the square and disappear inside the Palazzo del Gonfalone from the 14th century, which today hosts the city council. Cino da Pistoia had his ideal woman too, like Dante had Beatrice, Boccaccio had Fiammetta and Petrarca had Laura: her name was Selvaggia de Vergiolesi, and she died in the Castello di Sambuca on the hills over Pistoia, where she found shelter while escaping from the violences of the Guelphs. In case you want, you can find anecdotes everywhere: every single spot that you can see hides a story or a legend. On the facade of this lofty town hall you can find medieval banners, including a black marble head with an iron mace above: a popular legend identifies this with the traitor of the city Filippo Tedici, even if probably it's the representation of King Musetto II from Mallorca, killed by the captain from Pistoia Grandonio dei Ghisilieri, who was in service for the city of Pisa during the conquer of the Balearic Islands in the 12th century. 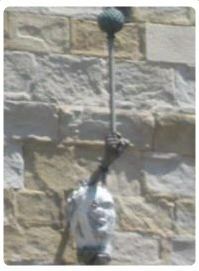 Tedici's head is surely on the portal of the Chruch of Sant'Andrea and tradition says that it's black because, as a sign of contempt, people used to turn off the torches on it before entering the church. 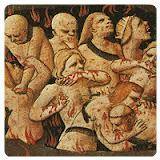 Tedici was the nephew of Ormanno Tedici, lord of the city in 1323, who was loved by the people. 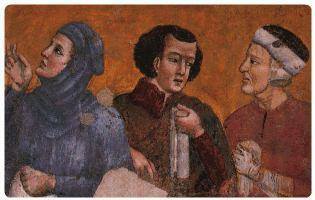 In 1325, Filippo unseated his uncle and secretly opened the doors of the city to the conqueror Castruccio Castracani, in exchange for a nomination to Captain of the People, for Castruccio's daughter and a lot of money. As soon as Castracani died, he was exiled and then killed around the village of Popiglio, in the mountains above Pistoia. 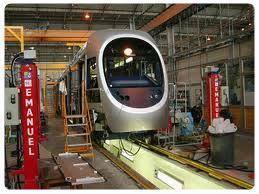 I don't know why, but trains always excited me since I was a child and this city has been, and partly still is, thanks to the Breda factory (now Hitachi Rail), one of the main Italian centers for railway industries, which are today declining because of wrong political and strategic choices. In one of the shed of the old factory, you can now find the wonderfulSan Giorgio Library, which quickly became a meeting point for young people and adults, as well as a top level cultural center. A few years ago, I attended here the annual meeting of Wikipedia Italia and I remember I imagined comparing this shed when it used to produce trains to transport people far away, "who knows where? ", now hosts books and the encyclopedia Wikipedia which often leads you far away, "who knows where?". Besides railways, people from Pistoia always worked with iron and they were famous all over Europe for swords and armors. The word “pistola? (gun, in Italian), which was born around the half of the 16th century, seems to derive from Pistoia. According to someone, this could not be a virtue. Do you know what a vivarium is? Well, this area is filled everywhere with trees and plants of any kind, lined up as they were soldiers of infinite green battalions ready to conquer the world. It is no coincidence that Pistoia is one of the world capitals for vivariums, and they sell plants from Russia to the deserts of Arabia. On a corner in Piazza del Duomo you can find Catilina's tower, named after the roman senator who was accused by Cicero of attempting to subvert the Roman Republic; defeated in Pistoia by Roman troops, Catilina seems to be buried under this medieval tower. When you arrive from the motorway, you see the cupola of the Basilica della Madonna dell'Umiltà (Basilica of Our Lady of Humility) by Giorgio Vasari, together with the 13th century bell tower of the dome, dedicated to the "Dark haired bishop", San Zeno, which is 67 meters tall. This landscape by far mustn't be too different from the one that Niccolò Machiavelli saw while coming to Pistoia on behalf of Firenze, in order to try to stop a bloody feud in the city. The author of Principe (the Prince) advised his city to take advantage of the situation and to conquer the rival town. 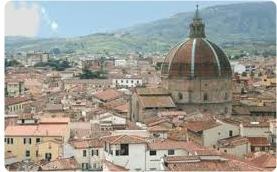 This is also the town of Vanni Fucci, maybe the darkest and most negative character of the whole Hell of Dante ("son Vanni Fucci bestia, e Pistoia mi fu degna tana" - “I'm Vanni Fucci the beast, and Pistoia was a worthy lair for me"). The city was perfect for that kind of character according to Dante, also because it belonged to the faction of the Black Guelphs, enemy of the faction which the poet belonged to. A couple of years ago there used to be a Restaurant called Vanni Fucci Beast in Pistoia, and I remember it was the place where the first local members of the 5 star Movement by Beppe Grillo used to meet. Who knows where Dante would put the genoese comedian now? If you plan to visit the magnificent cathedral, you will find a masterpiece: the silver altar of San Jacopo, which was stolen and damaged by Vanni Fucci, and lately restored also by Brunelleschi when he was young. 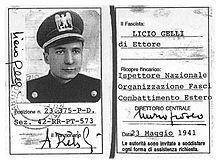 Another citizen of Pistoia, according to many people even quite similar to Vanni Fucci, was Licio Gelli, the worshipful master of the masonic lodge P2: son of a miller, he was born in Gore e Barbatole street, in the outskirts, near Porta al Borgo. According to an investigation and a series of articles of a young journalist of the local newspaper La Nazione, Giulio Giustiniani, the young Gelli was expelled by all schools in the reign because he hit with a fist one of his teachers during a political discussion. He later became a fervent fascist and tried to get a diploma privately but he ended up getting very bad grades in history and geography and even in fascist culture, and even worse grades in latin and natural sciences. He failed the exam and he retired from school, but, unfortunately for Italian people, he managed to be a protagonist anyway. After the war, Gelli worked for a stall in the market, then opened a bookshop in Gramsci Avenue and later worked for Permaflex (its logo is a man in a pajama with vertical lines), which patented the first spring mattress ever, under the property of Giovanni Pofferi, double of the actor Amedeo Nazzari. The former mattress factory, now disused, is located at the beginning of the road that leads from Pistoia to Abetone, on the mountains. At that time Gelli gave the Pope Paul VI a white mattress as a present, embroidered by the nuns of Pistoia. Because of the investigation and the articles on the worshipful master, the journalist Giustiniani and his director, Piazzesi, were fired. 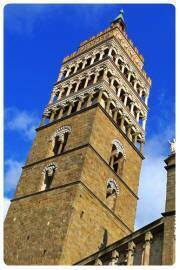 Pistoia is full of anectodes of this kind, all ready to be discovered. 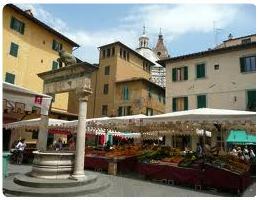 You can also eat very well in Pistoia: around the medieval square La Sala you can find restaurants with a great quality/price ratio. 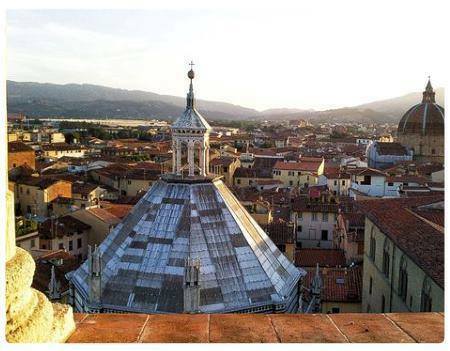 Try it to believe it..
At the top of its power, in the 14th century Pistoia managed to hold off the powerful neighbour enemies: Florence and Lucca. After eleven months of siege the city it surrendered to the two powers, the same ones which today get all the international touristic mass of people. In Pistoia, in unison, the story still seems to beat his time with the Piazza del Duomo, the old court, the ancient head office of the bank, the city market, the monumental palaces and romanic and gothic churches, and also the old houses, the small squares and, among them, the narrow streets full of charm also for the golden light that escapes from the wrought iron street lamps. 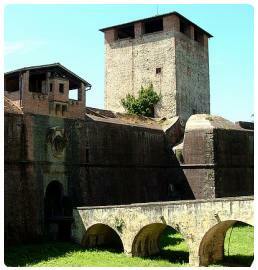 Once, Pistoia was surrounded by walls up to 15 meters tall, with towers and bastions, such as the still existing Bastione Ambrogi and Bastione Thyrion. The historical documents of the town tell us that there used to be 3 walls: the first was built around the 8th century and probably traced a perimeter approximately around the current streets called via Pacini, via Palestro, via Cavour up to via Curtatone, via Buozzi and via Montanara, arriving to via Abbi Pazienza and via delle Pappe. The second wall was built around the 12th century and included the further urbanization which had developed by then, including borgo di San Bartolomeo, which grew around the Abbey of San Bartolomeo in Pantano. The perimeter of this second wall embraced the areas of Santa Maria di Ripalta, Ospedale del Ceppo (the city's public hospital), via Chiappettini and via Trentufuni, up to Santa Maria Nuova and corso Amendola e Gramsci. The third wall was erected during the period of the Florentine siege of Pistoia in 1306 and it partly substituted the second one: its traces are still visible along the avenues called viale Matteotti and viale Arcadia: these last buildings were provided with towers and bastions (the most important of which was the Medici fortress) and large ditches which filled with water of the nearby torrents such as Ombrone. Nowadays the walls of Pistoia do not exist anymore, not because they have been destroyed during wars, but because at the beginning of 1900 (as it also happened for many other Italian towns) it was necessary to initiate a urban development era. The walls are now remembered by the ancient access roads to Pistoia, besides the Medici fortress of Santa Barbara, which hosts an open air cinema in summertime. You access the city through the four ancient gates of Pistoia, whose names derive from the city from where you arrive: Porta Lucchese (for those who arrive from the city of Lucca), Porta Carratica (from Florence), Porta Al Borgo (from the mountains) and Porta San Marco (from the street called via Montalese, the ancient Via Cassia on the direction Prato-Pistoia). Entering the city through any of these ancient ports, the same ones that give their name to the quarters of the central part of the town, you arrive to the historical center of Pistoia, which is dominated by the piazza del Duomo: it's a huge open air space which gives you an idea of how important this city used to be during its florid past. Piazza del Duomo was the protagonist of stories dated well before the medieval times: during the works for the extension of the ancient Via Cassia from the Florentine territories which just here, in the heart of the current Pistoia, crossed the Decumano maggiore (major decuman, which in roman cities went from east to west and can be identified in the current street called v ia degli Orafi) and the 'cardo' massimo, which is the main north-south way (today the street called via Bracciolini). Piazza del Duomo is very close to the crossing of the two axis: once it hosted the Roman Forum and the noble house, you still find some archaeological evidence of them. 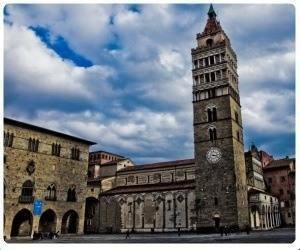 The main square of Pistoia had its golden age during Medieval times and the main monumental buildings can still be admired today, since they all form one of the most beautiful squares in Italy. Those building all belong to that period: Cathedral of Santo Zeno, Baptistery of San Giovanni in Corte, Palazzo Vescovile, Palazzo Pretorio and Palazzo Comunale (Bishop's Palace, the Praetorian Palace and Town Hall). The most characteristic element of the square is the Dome: the Cathedral of Santo Zeno is a small jewel worth discovering not only for its peculiar external architecture, which has a Romanic style probably deriving from an earlier paleo-Christian from the Lombard period in the eighth century. Reliable sources refer to a structure already existent in the 10th century, known as Ecclesia dei santi Zenonis, Rufinis e Felicis. The reconstruction of the facade and the addition of the porch were made in the period 1379-1449, while the decorated central archway is dated 1504 and it was made by Andrea della Robbia, one of the greatest Italian sculptors and artists. Don't miss the inside part of the church, where you can admire several paintings by artists such as Lorenzo di Credi, Andrea Verrocchio, Giovan Battista Paggi, Antonio Rossellino e Filippo Brunelleschi. 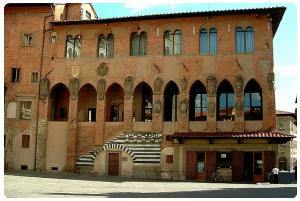 The building also hosts the wooden crucifix of San Zeno, completely painted in tempera in 1274 by Coppo Marcovaldo, one of the most eminent figures of Tuscan painting of the thirteenth century: he also made the Madonna del Bordone in Siena and another wooden crucifix guarded in the Pinacoteca (picture gallery) of San Gimignano). Next to the dome, you can find the Baptistery of San Giovanni in Corte di Pistoia, a small jewel in gothic-romanic style which recalls the more famous baptistery of piazza del Duomo in Florence. 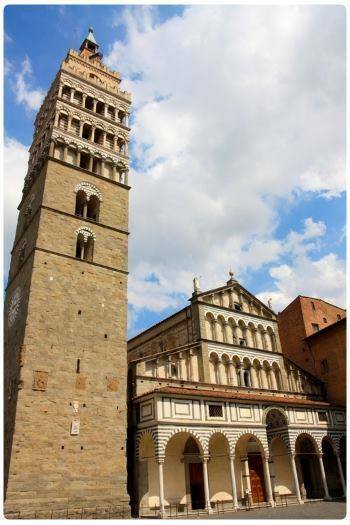 The one in Pistoia is characterized by a strong touch of the style of Pisa, although this building is generally considered as one of the main expressions of the so called gothic-tuscan style, which concentrates architectural elements not only from Pisa, but also from Siena and Florence. Its most ancient origins are in the 13th century: at that time it was built near the ancient Lombard court, the Curtis domini regis, where the administrative power of the officer appointed by the king lived (for this reason, the Baptistery is also called “in Court?). The current baptismal font was made in 1226 by Lanfranco da Como, as it's written in the internal inscription; this work certifies the more ancient origins of the whole structure, which was later restored and renovated, in the 14th century, and the external part was commissioned to Cellino di Nese, who had already worked at part of the works of Piazza dei Miracoli in Pisa. The wonderful baptistery in white and dark green marble, with a typical octagonal shape and surmounted by a dome, is located between the ancient Palazzo dei Vescovi (Bishops' Palace) of Pistoia and the Palace of Praetorium: the first building was built in the 11th century, altered a few times throughout the years and then restored at the end of the 1980s; it was built in the place that was previously occupied by a civic market with lombard origins which historically represented the symbol of the religious episcopal power in Pistoia; it is also know because it hosted the emperor Federico Barbarossa, at the investiture of the imperial feud of the then bishop Rinaldo. The Palace of Praetorium of Pistoia dates 14th century and even if the external appearance has remained the original Renaissance style, the internal one has been deeply altered in the 19th century. It hosted the Podestà (mayor) during medieval times, and later on the Florentine Commissioners during the Medici period; court hearings are still held in the large hall on the first floor. On a side of the square you find the ancient Town Hall of Pistoia, 12th century, also known as Palace of old people (Palazzo degli anziani) or Palazzo di Giano (from Giano di Bella, the mayor who probably decided to build it). The building is adorned with a beautiful facade with double and triple arched windows and, in order to build it, they had to demolish a whole quarter of the town. The historic center of Pistoia is characterized by other very interesting urban corners, not only historically or architecturally. Each Saturday and Wednesday morning you find a street market where you can find about everything: food, clothes and various objects. Every day, in the small square called La Sala, you find the picturesque fruit and vegetable market, in an atmosphere which is typical of the ancient local markets. This square is one of the oldest in town and its name came from the ancient lombard period, when it indicated the palace of the public administration. In the municipal age La Sala became a place for trading and selling, and it keeps this function still today. The memory of ancient professions still survives in the name of the streets of the historic center of Pistoia and in the nearby squares: via del Cacio (cheese street), via dei Fabbri (smiths' street), degli Orafi (goldsmiths' street), del Lastrone (stone street), which gets its name from the huge stone on which fish used to be sold, or also piazza degli Ortaggi (vegetables' square), on whose center you find the work “Giro del sole? by the local artist Roberto Barni. Barni is not the only great artist linked to Pistoia: among other distinguished people who were born in Pistoia there was the poet and jurist Cino da Pistoia (born with the name Guittoncino dei Sigibuldi), who was one of the top representatives of the poetic style 'Stilnuovo' and great source of inspiration for Dante and Petrarca. You can admire his memorial grave in the cathedral. Also from Pistoia was Giulio Rospigliosi (1600-1669) who became Pope with the name Clemente IX, as well as architect Giovanni Michelucci (1891-1991) and sculptor Marino Marini(1901-1980); indirectly, also the poet Giousè Carducci, who was a professor of latin, greek and italian in the Forteguerri Lyceum in Pistoia. Culturally, the city is rich in events and festival, among which you can't ignore the very well known "Pistoia Blues" (in July), which since 1980 attracts thousands of blues fans, with great artists and exciting performances (some names who participated to the past editions are Fats Domino, Frank Zappa, Alexis Corner, BB King, Muddy Waters, Bob Dylan, Steve Winwood, Richard Johnston, Jono Manson, Guy Davis, Santana). 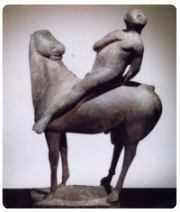 Not only cultural events can catch the tourists' and visitors' enthusiasm. 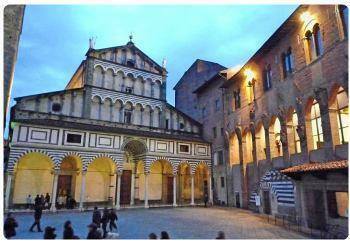 Try eating out in Pistoia and you will discover the nicest Tuscan cuisine, both for your appetite and your pockets. Many restaurants and pizzerias, all good and with reasonable prices, with authentic dishes prepared with fresh and genuine products. Especially trattorias can be appreciated in Pistoia, here's a few names: Iccio Trattoria dell'Abbondanza, Enoteca la Bottegaia, Dada (creative, with a nice environment, and located in the square of the old hospital with a view on the famous majolicas). The caffé "La Corte" in the street called via del Ceppo is a small venue both practical and ethnical, close to the old hospital too, with an internal space in the court of the building and very good dishes for lunch. Also Enoteca (wine bar) Baldovino is worth a try. And if you want to spend little and eat well, in the industrial area, easily reachable even with a walk, every bar has a fixed price menu with simple and well cooked dishes. If you fancy going on the hills of Pistoia, in the small village named Cireglio we recommend Via dell'Orto, while in the village of Maresca look for pensione Tesi: good fixed price menu, genuine and well presented food. If you like to look for a place where you can eat very well, go to the village called Pracchia, at Melini's (memorable appetizer as well as everything else, including service and price). There's much more to discover in this town: we give you some advice in the pages liked above. For example, if you want to spend a pleasant family day, don't miss Pistoia's zoo, with bears, wolves, jaguars, elephants, giraffes, reindeers and so on.